THE BEST of Valencia Gardens, with all its Florida living, is here! This updated, gorgeous, CORNER UNIT has spectacular WATER VIEWS! Enjoy a glass of wine watching the sunset reflect off the lagoon as you relax on your enclosed lanai! This pristine, 2nd story condo sits on the 2nd fairway of the IMG golf course providing peaceful views from every window. You'll love the split floor plan creating a '2 master suite feel' which is perfect for guests. The fully updated master bathroom, updated 2nd bathroom, and ceramic tile floors throughout are just some of the updates in this meticulously, maintained home. This pristine clean, condo comes fully furnished, too - most of the tasteful, designer accessories and art are included in price (See attachment for exclusions)! The COVERED CARPORT is also included and is just a few steps away from your building. The recently renovated pool and spa is a very short walk from this 'light and airy' condo. Even the washer and dryer are included! Come see why Valencia Gardens is a sought-after community for winter retreats or full time living. 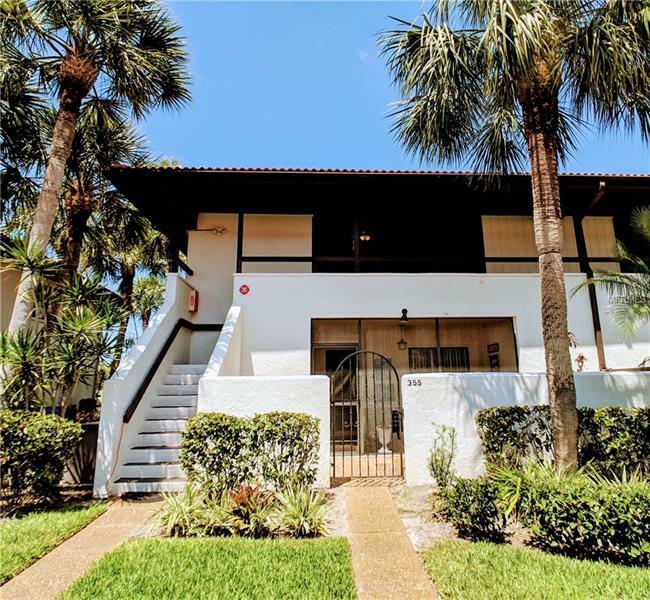 Its location is top notch because it's central to the IMG community, a short drive from Anna Maria Island, downtown Sarasota, and very close to shopping and dining. NO Age restrictions! Dogs 75 pounds or less will love it here, too!